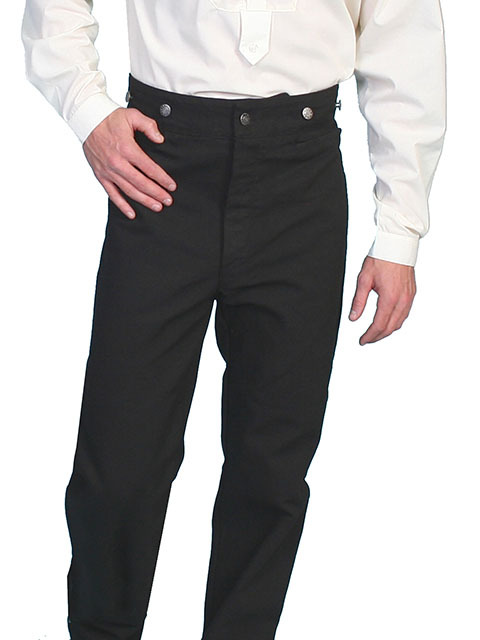 Our sturdy canvas duckin' frontier pant are one of our best selling pants. Made of 100% pre-washed cotton, they are durable and great looking. Featuring a button fly, two side pockets, one rear pocket, suspender buttons, and an adjustable back strap for the perfect fit.